As of March 23, “$17,198,838 has been added back to the tax roll as taxable value for future years” as a result of investigations into homestead exemption fraud, Sarasota County Property Appraiser Bill Furst reported to County Administrator Tom Harmer. In an email, Furst noted that “115 accounts have been paid,” totaling $1,410,390.32. “Some were paid prior to the filing of a lien and some were [paid] as a result of the lien being filed,” he wrote. 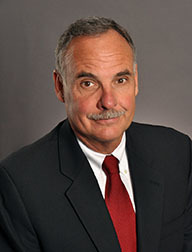 When he made his presentation before the County Commission on June 24, 2015 to present his 2016 fiscal year budget, Furst told the board his staff had finalized a contract the previous day with Tax Management Associates Inc. (TMA) — which is based in Charlotte, NC — to investigate homestead exemption fraud cases. Previously, Furst noted, he had assigned one employee to that work on a full-time basis. In 2014, he added, that employee accounted for about $33 million going back onto the tax rolls. TMA would be looking at 109,653 residential parcels, Furst continued, though it was difficult to say how much money might be involved. He pointed out that in some cases, a fraudulent exemption could be less than a year old, while in others, it could go back 10 years, with interest to be assessed. The largest case his office had handled thus far in 2015, Furst said, ended up with a property owner paying $235,858 as a result of lien his office had put on the single-family residence.